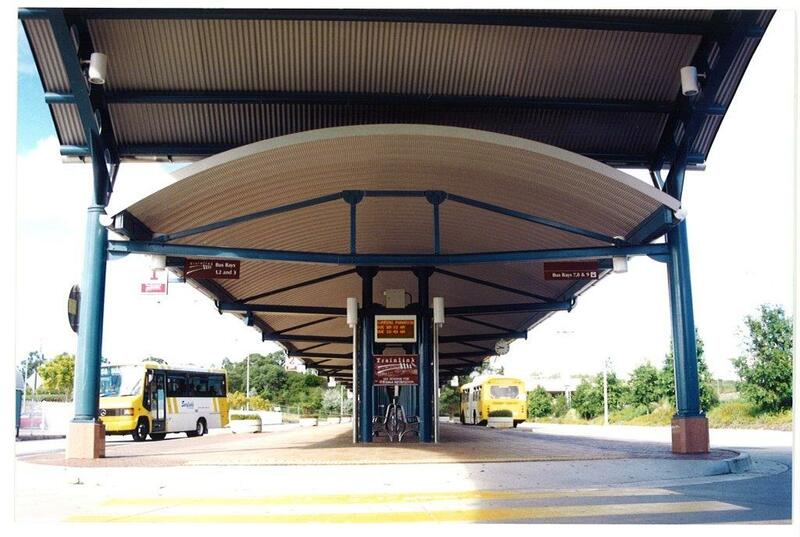 Design and erection of a curved roof for a railway station platform. 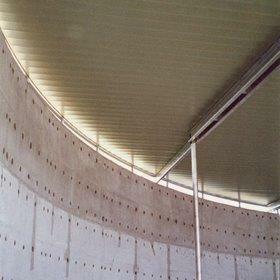 The curve of the roof inspired a number of other curved design features throughout the project including the curved glass brick wall in the Station Master’s office and perforated shades below the roof line. 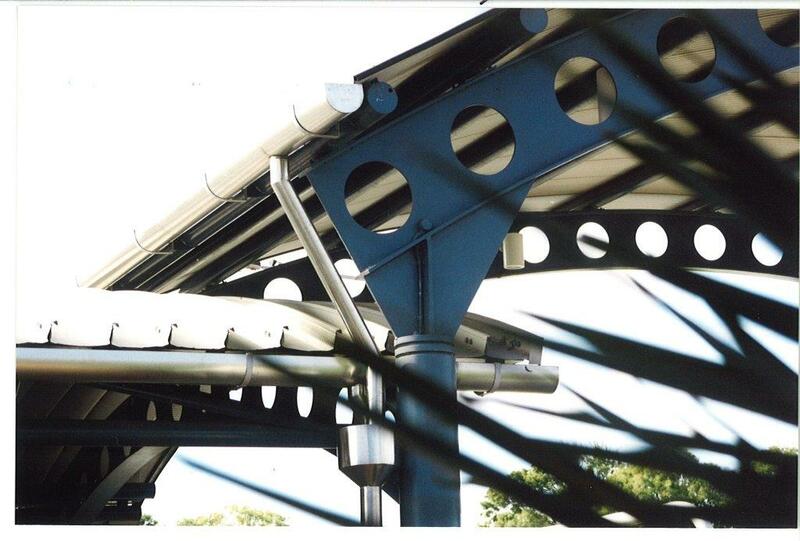 The design of the station roof is repeated in the structures for the large bus interchange terminal and taxi rank waiting area. 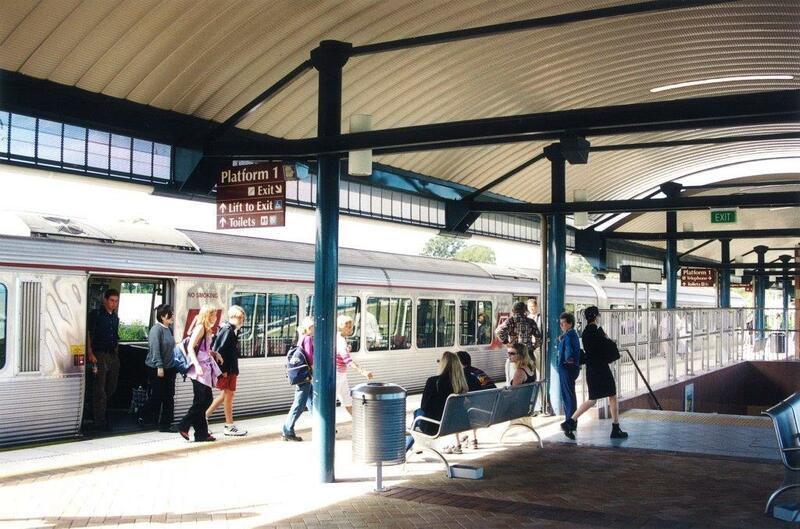 The Spantech roof was selected for its low maintenance and long life, thereby reducing the need for maintenance and any disruption to this increasingly busy public transport facility.